Tattoo Photos, News, and Videos | Just Jared Jr. While Lucy Hale just got three of her former tattoos removed earlier this year, she just added a new one to her collection. 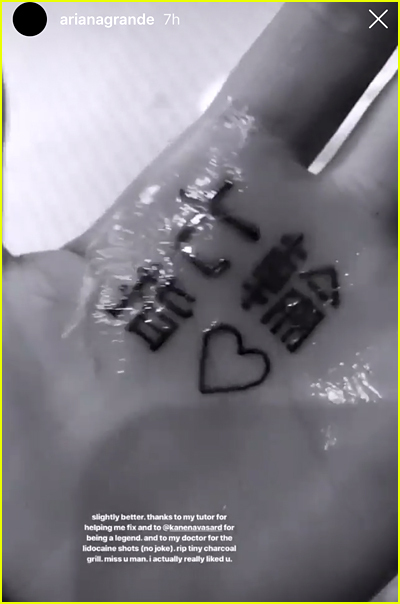 For Valentine’s Day, the 30-year-old actress revealed her new ink to her fans, explaining the meaning in a new Instagram post. 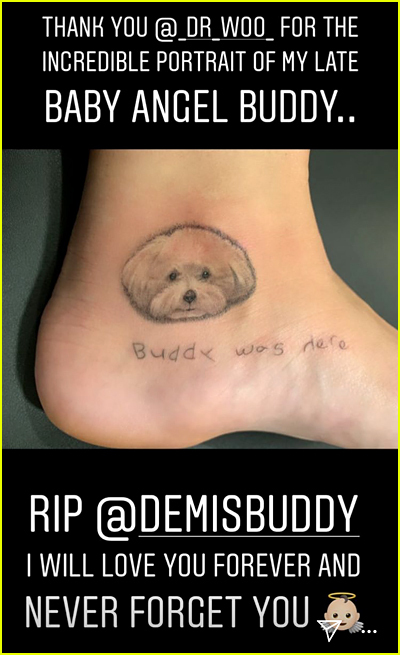 Demi Lovato has revealed her brand new tattoo of her dog Buddy. If you remember, Buddy sadly passed away suddenly in 2015, and the -year-old singer has remembered her adorable pup in touching tributes throughout the years. “I will love you forever and never forget you,” Demi wrote on her Instagram Stories. 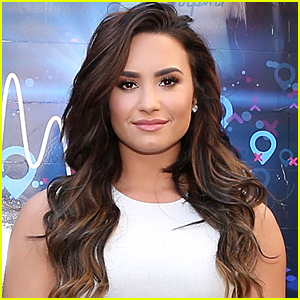 The tattoo is a picture of Buddy with ‘Buddy was here’ written underneath on her ankle. After finding out that her new “7 rings” tattoo was misspelled, Ariana Grande has tried to fix it – and maybe, just made it a little bit worse. Earlier this week, it was revealed that while the 25-year-old singer intended to get new ink that was in honor of her brand new single, she actually got a tattoo that said bbq grill in Japanese instead. 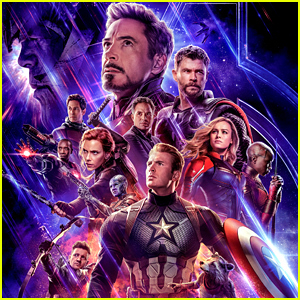 Last night, Ariana attempted to fix the mistake by going back to her tattoo artist to add another character in, but fans quickly pointed out that it’s still misspelled. 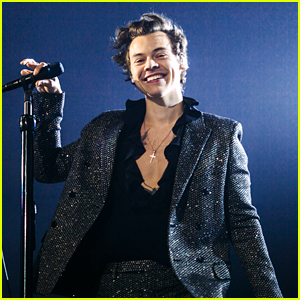 Just days ago, fans were shocked to see that singer Kelsy Karter inked herself with a tattoo of Harry Styles, but it wasn’t on her arm, or back, or even her leg – but on her cheek! Now the 25-year-old New Zealand singer is opening up about her decision to get the tattoo and its’ strategic location. “I just wear my heart on my cheek and I couldn’t really control what went on from there,” Kelsy added. Ariana Grande is well aware that her brand new “7 Rings” tattoo is misspelled. The singer’s new ink – which is in Japanese – is supposed to spell out the name of “7 Rings”, but it doesn’t. It actually translates to “shichirin”, which is a Japanese style BBQ grill. Ariana took to Twitter and tweeted (and then deleted) an explanation when people began pointing out the mistake. 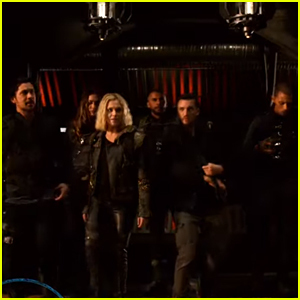 You can see a photo of the tattoo right here. Dove Cameron celebrated her 23rd birthday in style last night (January 15) in New York City. On top of a fun party with boyfriend Thomas Doherty, and her closest friends and co-stars, the actress and singer invited a tattoo artist so if they wanted, guests could get a tattoo! Dove shared with fans on her Instagram stories that many of her friends, many from Clueless: The Musical, got special new tattoos commemorating the musical. “Plaid for days,” Dove captioned while filming one of her friends’ tattoo process. Even Thomas got a tattoo on his wrist, which reads “à naître”. It means to be born.